Becky Cochrane of Houston has written a great review of the Houston Jung Center with some fun photos. 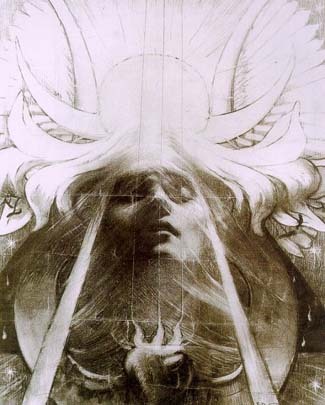 The well-known Jungian analyst and author James Hollis is emeritus director of the center. The current director is Jerry M. Ruhl, a Jungian-oriented psychologist who is co-author with Jungian analyst Robert A. Johnson, of Living your Unlived Life, Contentment, and Balancing Heaven and Earth. 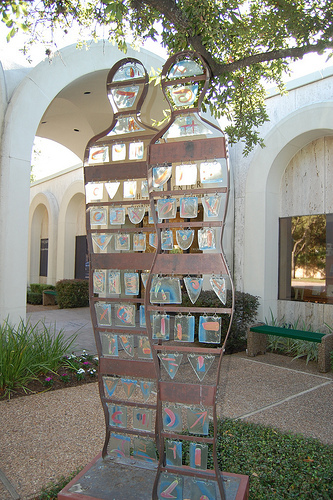 The sculpture pictured above is “Eternal Couple,” by artist Peter Mangan, which currently resides outside the center. The center has a gallery with what looks like wonderful art exhibits.